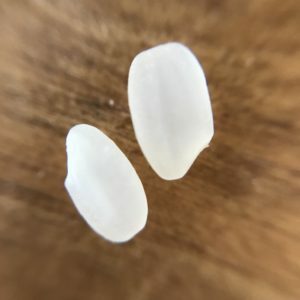 Japonica rice grains are rounder, thicker, and harder, compared to longer, thinner, and fluffier Indica rice grains. Cooked Japonica rice has sticky and moist texture. While Japonica rice grains are round and short, Indica rice grains are longer, thinner, and fluffier. Cooked Indica rice is not sticky. Most of the rice produced in Southern Asia, including Sri Lanka, India, Thailand, Vietnam and Southern China is Indica rice. Once thought to be a third subspecies, Javanica rice is now known as tropical Japonica. Javanica rice looks like Japonica rice, but its grains are larger and wider. Cooked Javanica rice has a similar texture to cooked Indica rice. Japonica rice includes uruchimai and mochigome. You may want to choose uruchimai to enjoy authentic Japanese cuisine. Properly cooked rice is so delicious. Why don’t you learn how to cook rice Japanese style?